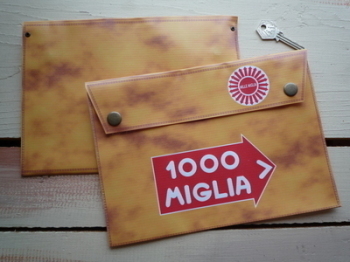 Mille Miglia - I Say Ding Dong Shop - Buy Stickers, Decals & Unique Automobilia. 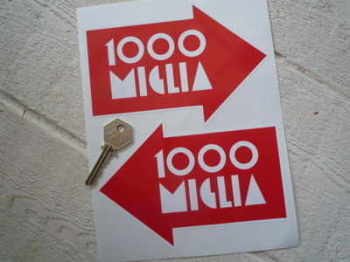 Mille Miglia 1000 Alloy Wheels Stickers. 6". 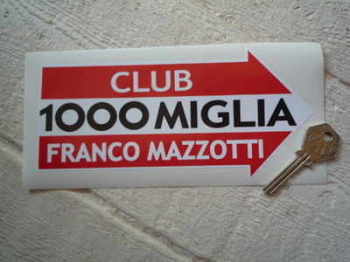 Mille Miglia 1000 Club Franco Mazzotti Sticker. 7.5". 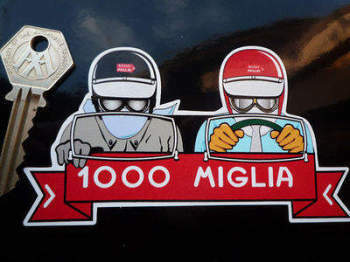 Mille Miglia 1000 Driver & Passenger Garland Sticker. 5". 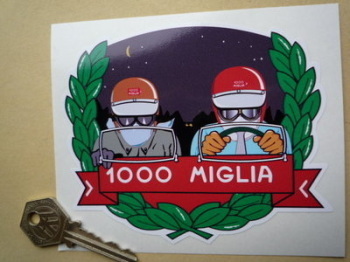 Mille Miglia 1000 Driver & Passenger Sticker. 5". Mille Miglia Black Directional Stickers. 1.5" or 4" Pair. Mille Miglia Directional Close Cut Style Stickers. 3" Pair. Mille Miglia Directional Static Cling Stickers. 2.5" or 4.5" Pair. Mille Miglia Document Holder/Toolbag. 10" or A4. 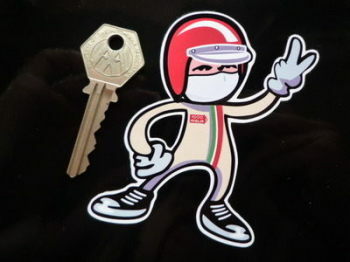 Mille Miglia Driver 2 Fingered Salute Sticker. 3.5". Mille Miglia Gran Premio Brescia Circular Sticker. 3.25". Mille Miglia Rally Art Banner. 28" x 19".